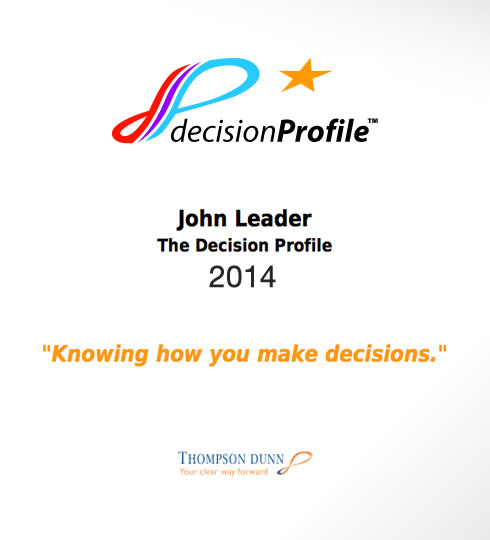 The Decision Profile you see today is a very different product than it used to be. It was originally developed by Arthur B. Sweney (USA, 1980) and then by Barbara Tyler (UK, 1999) (revised edition) before Pat Thompson acquired the IP in 2009. The current version is founded upon this original work and has been further developed by Pat Thompson, Jan Fiala and Michael Johnson. The decision to further develop the instrument was based on Pat’s observation that the original graphs did not offer sufficient insight into what the questionnaire was actually assessing. Pat observed that clients who reported themselves as being literal, analytical, Sensors (‘S’ on MBTI) often produced high scores on the Intuitive Hunches scale on the Decision Profile. 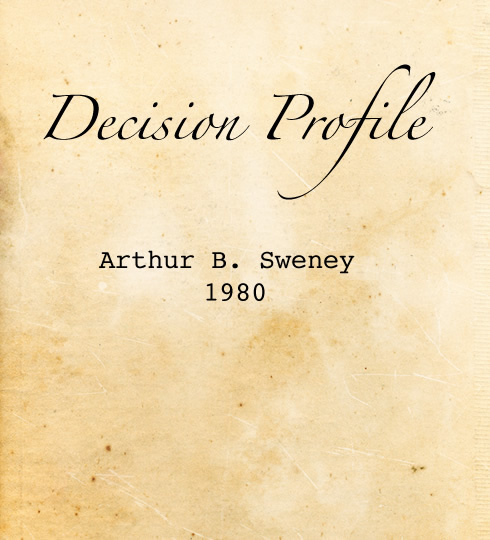 When questioned in regard to this inconsistency, the respondents’ reply would frequently be, “Yes, I make my decisions intuitively but then I back them up with the facts.” This led to a recognition that the Decision Profile probed more deeply than any other instruments into exactly HOW individuals choose to make their decisions. Put simply, it allowed an exploration of the role of intuition in the decision making process and the extent to which individuals incorporated their intuition. How people use their intuition was something that had been difficult to pin down using psychological tools but was clearly intrinsic to how people make decisions. It was therefore essential to probe further into every individual’s use of intuition and to make the resulting conclusions much more accessible to clients. These principles of exploration and explanation gave rise to the developments now available in the Decision Profile you see today. After 25 years of using the instrument, Pat collaborated with Jan Fiala to develop the tool for online use and to bring it into the modern realms of worldwide assessment. From that date forward, the instrument was subject to a great many improvements and developments. The 8 Decision Profiles were born, circular graphs were generated to summarise individual approaches to decision making, personalised descriptors were scripted for every possible combination of results, and the capacities to profile groups and whole organisations were formed. In the last 5 years, the Decision Profile has come from a 104 statement, paper based questionnaire to a modern, responsive and adaptive online assessment instrument, capable of supporting and developing any individual, group or organisation anywhere in the world.